The Federal Reserve didn’t increase interest rates at its September meeting, though officials kept the door open for a hike in December. In the run-up to the Federal Open Market Committee’s September meeting, the futures market had priced in a growing chance that the US central bank would increase interest rates by 25 basis points. After the Federal Reserve opted to keep the benchmark rate unchanged, investors rotated back into utility stocks, real estate investment trusts (REIT) and other dividend-paying equities that offer above-average yields. Although the Federal Reserve’s policy on interest rates will drive income-oriented stocks in the near term, investors should avoid any rash moves and continue to collect their quarterly dividends. Here are four reasons why—aside from rebalancing or taking some partial profits to free up dry powder—you shouldn’t liquidate your high-quality dividend payers to buy financial stocks and other names that the conventional wisdom says will benefit from higher interest rates. 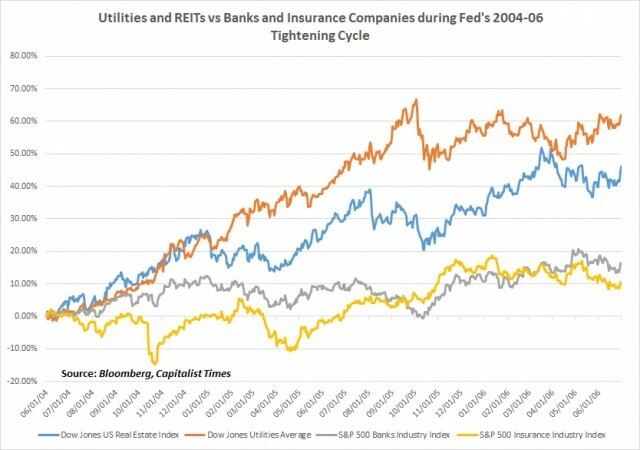 You’ve probably heard the conventional wisdom that rising interest rates reduce the future value of dividends that utilities and REITs pay, causing these stocks to underperform. Market history tells a different story. When the Federal Reserve increased the benchmark interest rate by 425 basis points between June 1, 2004, and June 30, 2006, the Dow Jones Utilities Average generated a total return of 61.9 percent—one of its best two-year runs ever. Meanwhile, the Dow Jones US Real Estate Index posted a 46 percent gain. How did shares of banks and insurance companies fare over this period? The S&P 500 Banks Industry Index and the S&P 500 Insurance Industry Index posted gains of less than 20 percent, underperforming the S&P 500’s 19 percent gain. 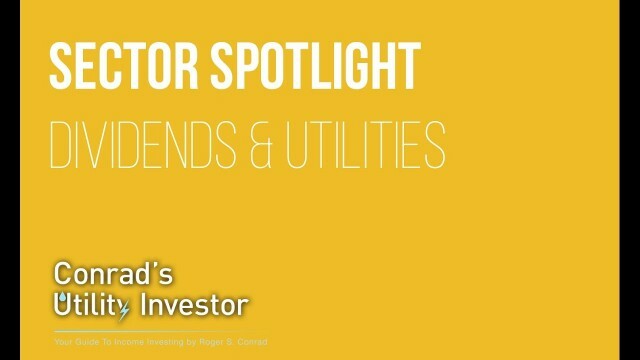 Utilities and REITs may pay dividends, but investors should never mistake these equities for bonds and other fixed-income securities. Utility stocks and REITs historically have tracked the earnings of their underlying businesses and their prospects for cash flow and dividend growth—not interest rates. Whereas the Federal Reserve consistently hiked interest rates from mid-2004 to mid-2006, the central bank has pushed through only one rate increase since phasing out its quantitative-easing program. Persistent weakness in an economy that grew by less than 1 percent in the first half of 2016 suggests that the Fed’s effort to normalize interest rates could end up being a one-and-done cycle. Arguably, this tightening cycle began in May 2013, when the central bank announced plans to phase out its bond-buying program and begin to hike interest rates. Over this period, the Dow Jones Utilities Average has generated a total return of about 45 percent—roughly in line with the S&P 500. The Dow Jones US Real Estate Index lagged over this period, gaining 31 percent. The latter’s underperformance has nothing to do with interest rates and everything to do with the newly minted sector’s elevated valuations and exposure to potential weakness in the economy. And since the Federal Reserve hiked interest rates on Dec. 16, 2015, the Dow Jones US Real Estate Index has gained almost 13. 4 percent and the Dow Jones Utilities Average has returned 22.5 percent. In contrast, the S&P 500 is up 6.7 percent and the S&P 500 Banks Industry Index has given up more than 7 percent of its value. Instead of focusing on the Federal Reserve, investors would be better off focusing on the strength of individual companies and their ability to pay dividends. Take it from someone who has covered the utility sector for more than 30 years and who has followed an income-focused investment strategy for even longer: Over the long haul, dividend-paying stocks tend to track the growth in their underlying payout. All you need to do to collect regular dividends and generate capital appreciation is buy best-in-class stocks at favorable valuations, add to your position opportunistically and hold through the cycle. Reinvesting dividends compounds your return. You’ll also need to keep up with the companies in which you’ve invested to make sure that their growth prospects remain undiminished. And don’t be afraid to dump a big winner if the underlying business starts to deteriorate. You may also want to rebalance your portfolio by taking some profits off the table when momentum pushes your holdings to unsustainably high valuations. 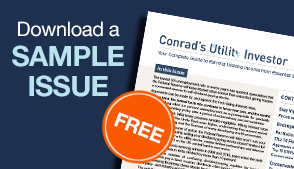 Each monthly issue of Conrad’s Utility Investor revisits the latest developments and investment thesis for more than 200 essential-service stocks. This exhaustive (and frequently exhausting) process helps me to uncover emerging opportunities and keep tabs on our favorites for signs of weakness. My Endangered Dividends List also highlights the stocks in my coverage universe that are at the greatest risk of cutting their payouts to help you avoid any major blow-ups. Anxiously switching from one stock to another results in unnecessary brokerage fees and taxes even if you get your timing right. Given the popularity of income-generating stocks in the low-yield environment, many cyclical companies initiated dividends to attract unthinking moths who flock to any stock with a big yield—regardless of its sustainability or underlying business prospects. In the second quarter, the number of US companies that cut their dividends surpassed the number increasing their payouts for the first time since early 2009, the depth of the Great Recession. This uptick in dividend cuts and the slowdown in payout increases occur with the S&P 500 trading near its all-time high and corporate borrowing costs near multi-generational lows. The US economy also continues to grow, albeit at a lackluster pace. If any of these factors turn for the worse, the pace of dividend cuts could accelerate. Companies that have no business paying a dividend can be found in almost every sector. When the inevitable adjustment occurs, the results won’t be pretty. Consider Ferrellgas Partners LP (NYSE: FGP), a propane distributor that has been on my Endangered Dividends List ever since I met the management team a few years ago at the MLP Association’s annual investor conference. After abruptly jettisoning the CEO, the founder announced that the partnership would likely cut its distribution by up to 50 percent because of losses related to an ill-fated push to diversify into new business lines. Ferrellgas Partners’ stock has plummeted by more than 30 percent this week. 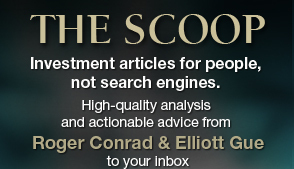 To draw attention to this risk, I’ve created an exclusive 15-minute video for readers of Income Insights. Be sure to check it out. When will the Federal Reserve hike interest rates? 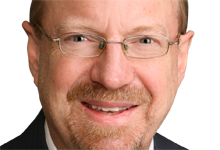 The talking heads in the financial media have no shortage of opinions about the timing, while three members of the Federal Open Market Committee voted in favor of raising interest rates at the September meeting. Republican presidential candidate Donald Trump also charged the Fed with playing politics by not hiking interest rates. However, the likelihood of the Fed boosting interest rates remains slim. Although the Federal Reserve may want to normalize monetary policy, an already soft US economy and concerns about the ripple effects that such a move could have overseas will likely stay the central bank’s hand. Investors shouldn’t take this outlook to mean that the stock market is in the clear. Trading at about 20 times earnings during a period of economic weakness, the S&P 500 could be due for a correction of at least 5 percent to 10 percent. A rate hike from the Federal Reserve could catalyze a selloff in US equities, but further signs of economic weakness could also trigger a pullback.